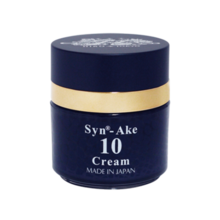 [en] Product Description The cream is blended with 10% of the famous Sineik Botox. * Sineiquex industry Level 1% to 4% 【 Sineik 】 A small peptide of synthesis imitating the waglerin1 which is a tri-peptide present in snake venom Proteoglycan】 Proteoglycan is characterized by its high water retention power. The water retention of Proteoglycan is said to be 1.3 times the hyaluronic acid. In addition, it has been confirmed to work similar to that of EGF (epithelial cell growth factor). Recently, the new material is very popular. 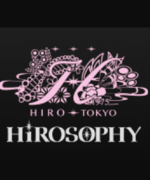 [Hyaluronic Acid] It rested 6 liters of water in 1g and leads to the skin with the firmness and elasticity. 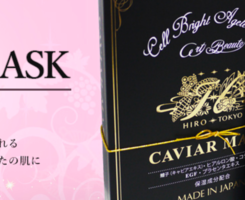 [Placenta powder] Contains the Hiro-Sophie placenta with a purity of 100% diluent. [Iran Iran flower oil and sandalwood oil] aroma effect There is a calming healing effect, sterilization and sedation, and moisturizing effects.